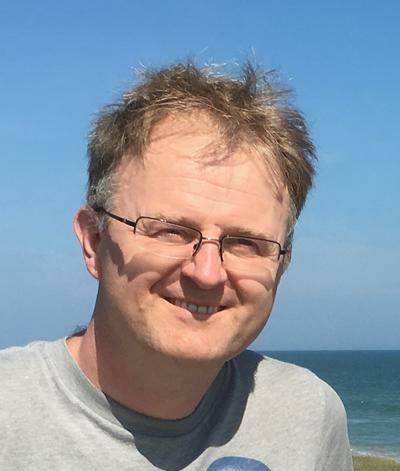 Dr Stefan Bleeck is Professor of Hearing Science and Technology at the Hearing and Balance Centre within the Institute of Sound and Vibration Research at the University of Southampton and the head of the Auditory Technology group. The aim of my work is to understand how we hear sound and to use this knowledge to create bio-inspired solutions to enhance speech communication. The complex challenge requires a highly interdisciplinary approach. My first degree was in Physics and I obtained a PhD in computational neuroscience in 2000 from the Institute of Zoology at the University of Darmstadt, Germany. I worked as a research assistant in the "Centre of the Neural Basis of Hearing" in Cambridge, UK with Roy Patterson and Ian Winter. In 2005 I joined the ISVR Sound and Vibration Research and the Hearing and Balance Centre where I was promoted to chair in 2016. I have continuously worked on various aspects of hearing research and technology and have been principal investigator on various research grants (EU, EPSRCS, etc) with a value of more than £2M. I am team leader with an internationally recognised research programme to develop devices that help normal hearing and hearing-impaired people to communicate better in noise within the next 10 years. My research spans the bridge from biology to engineering. I am interested in speech and the brain. The aim of my research is to understand how we hear sound and to use this knowledge to create bio-inspired solutions to enhance speech communication. Iliadi, K., & Bleeck, S. (2017). Speaker identification using auditory modelling and vector quantization. Advances in Modelling and Analysis B, 60(2), 283-303. Bleeck, S., & O'Meara, N. (2014). The perception of size and shape of resonant objects. Journal of Hearing Science, 1-12. O'Meara, N., & Bleeck, S. (2013). Size discrimination of transient sounds: perception and modelling. Journal of Hearing Science, 3(3), OA32-OA44. Schneider, P., Sluming, V., Roberts, N., Bleeck, S., & Rupp, A. (2006). Structural, functional, and perceptual differences in Heschl's gyrus and musical instrument preference. Annals of the New York Academy of Sciences, 1060, 387-94. Bleeck, S., Ives, T., & Patterson, R. D. (2004). Aim-mat: the auditory image model in MATLAB. Acta Acustica united with Acustica, 90(4), 781-787. Cousins, M. P., Bleeck, S., & Fazi, F. (2017). The effect of inter-channel cross-correlation coefficient on perceived diffuseness. Paper presented at 4th International Conference on Spatial Audio , Graz, Austria. Cousins, M., Bleeck, S., Melchior, F., & Fazi, F. (2016). Relation between acoustic measurements and the perceived diffuseness of a synthesised sound field. ICA 2016: 22nd International Congress on Acoustics, Argentina. Goehring, T., Yang, X., Monaghan, J., Wang, S., Niranjan, M., & Bleeck, S. (2016). Speech enhancement based on artificial neural networks for hearing-impaired listeners using auditory inspired features. Poster session presented at DGA-Jahrestagung German Society of Audiology, Germany. Cousins, M., Fazi, F. M., Bleeck, S., & Melchior, F. (2015). Subjective diffuseness in layer-based loudspeaker systems with height. 1-11. 139th Convention of the Audio Engineering Society , New York, United States. Monaghan, J., Bleeck, S., & McAlpine, D. (2014). Sensitivity to envelope ITDs at high modulation rates. Poster session presented at Association for Research in Otoloaryngology (ARO) MidWinter Meeting, . Foot, G., Li, G., Dachasilaruk, S., & Bleeck, S. (2013). Comparing CI signal processing strategies for speech in noise. British Society of Audiology Short Papers Meeting, United Kingdom. Hu, H., Sang, J., Lutman, M. E., & Bleeck, S. (2013). Non-negative matrix factorization on the envelope matrix in cochlear implant. 7790-7794. Paper presented at International Conference on Acoustics, Speech, and Signal Processing (ICASSP 2013), Canada. Monaghan, J., Bleeck, S., & McAlpine, D. (2013). Sensitivity to envelope ITDs at high modulation rates. Poster session presented at British Society of Audiology Short Papers Meeting, United Kingdom. Bleeck, S., Wright, M. C. M., & Winter, I. M. (2012). Adaptation in the ventral cochlear nucleus in the presence of constant-amplitude tone bursts is determined by ordered inter-spike interval statistics. Poster session presented at 16th International Symposium on Hearing, United Kingdom. Wright, M. C. M., Winter, I. M., & Bleeck, S. (2012). Are auditory neurons clocks or counters?. Poster session presented at British Society of Audiology Short Papers Meeting, United Kingdom. Tucker, E., & Bleeck, S. (2012). Is cognitive behaviour therapy suitable for cochlear implant users suffering from tinnitus?. Poster session presented at British Society of Audiology Short Papers Meeting, United Kingdom. Monaghan, J., Wright, M. C. M., Bleeck, S., & Winter, I. M. (2012). Speech enhancement using sparse coding in a neural space. Poster session presented at British Society of Audiology Short Papers Meeting, United Kingdom. Sang, J., Hu, H., Li, G., Lutman, M. E., & Bleeck, S. (2011). Application of a sparse coding strategy to enhance speech perception for hearing aid users. Poster session presented at British Society of Audiology Short Papers Meeting, United Kingdom. Viola, F. C., Eyles, J., Thorne, J. D., Bleeck, S., & Debner, S. (2011). Auditory evoked potentials from deaf individuals using cochlear implants. Poster session presented at other; 2010-01-01, . Al Saleh, H., Lutman, M. E., & Bleeck, S. (2011). Effects of amplification and reverberation on sound localisation in normal and hearing impaired listeners. Poster session presented at British Society of Audiology Short Papers Meeting, United Kingdom. Hu, H., Li, G., Sang, J., Wang, S., Lutman, M. E., & Bleeck, S. (2011). Enhanced SPARSE Speech processing strategy for cochlear implant. Poster session presented at Conference on Implantable Auditory Prostheses (CIAP), United States. Tucker, E., & Bleeck, S. (2011). Is cognitive behavioural therapy a suitable treatment for cochlear implant users suffering from tinnitus. Poster session presented at British Society of Audiology Short Papers Meeting, United Kingdom. Hu, H., Tagia, J., Sang, J., Mohammadia, N., Azapour, M., Dokku, R., ... Bleeck, S. (2011). Speech enhancement via combination of Wiener filter and blind source separation. Paper presented at International Conference on Intelligent Systems and Knowledge Engineering (ISKE2011), China. Sang, J., Li, G., Lutman, M. E., & Bleeck, S. (2011). Supervised sparse coding in cochlear implants. Poster session presented at Conference on Implantable Auditory Prostheses (CIAP), United States. Sang, J., Li, G., Hu, H., Lutman, M. E., & Bleeck, S. (2011). Supervised sparse coding strategy in hearing aids. Paper presented at 12th Annual Conference of the International Speech Communication Association (INTERSPEECH), Italy. Sang, J., Hu, H., Winter, I. M., Wright, M. C. M., & Bleeck, S. (2011). The neural space: a physiologically inspired noise reduction strategy based on fractional derivatives. Paper presented at 11th International Symposium on Communications and Information Technologies ISCIT, China. Hine, J., Barks, A., Bleeck, S., Eyles, J., & Debener, S. (2010). Auditory evoked potentials after cochlear implantation. Poster session presented at British Society of Audiology Short Papers Meeting, United Kingdom. O'Kane, C., & Bleeck, S. (2009). Are octave-band filtered environmental sounds a suitable stimulus for use within paediatric audiometry? (Poster). Paper presented at British Society of Audiology Short Papers Meeting on Experimental Studies of Hearing and Deafness, Southampton, United Kingdom. Hine, J., Barks, A., Bleeck, S., Eyles, J., & Debener, S. (2009). Auditory evoked potentials after cochlear implantation. Poster session presented at 9th European Symposium on Paediatric Cochlear Implantation (ESPCI), . Al Saleh, H., Bleeck, S., & Lutman, M. E. (2009). The effect of reverberation and amplification on sound localisation. Poster session presented at British Society of Audiology Short Papers Meeting on Experimental Studies of Hearing and Deafness, Southampton, United Kingdom. O'Meara, N., & Bleeck, S. (2009). The role of frequency in object-size perception. Paper presented at British Society of Audiology Short Papers Meeting on Experimental Studies of Hearing and Deafness, Southampton, United Kingdom. Hine, J., Barks, A., Bleeck, S., Eyles, J., & Debener, S. (2008). Auditory evoked potentials after cochlear implantation. Poster session presented at British Society of Audiology (BSA) Short Papers Meeting of Experimental Studies on Hearing and Deafness, . Hine, J., Barks, A., Bleeck, S., Eyles, J., & Debener, S. (2008). Auditory evoked potentials after cochlear implantation (Best Poster). Poster session presented at Southampton Neuroscience Group Conference, . Bleeck, S., & Winter, I. M. (2007). A brainstem vocoder based on a model of the ventral cochlear nucleus. Paper presented at Thirtieth Annual Midwinter Research Meeting, Association for Research in Otolaryngology, . Carlyon, R. P., Mahendran, S., Deeks, J., Bleeck, S., Winter, I. M., Axom, P., & Baguley, D. (2007). Behvioral and physiological correlates of temporal pitch perception in electric and acoustic hearing. Paper presented at 30th Annual MidWinter Research Meeting, . Debener, S., Hine, J., Bleeck, S., & Eyles, J. (2007). Source analysis of auditory evoked potentials in patients with cochlear implants. Paper presented at British Society of Audiology Short Papers Meeting on Experimental Studies of Hearing and Deafness, . Bleeck, S. (2006). A computational model of the temporal adaptation patterns of neurons in the ventral cochlear nucleus units. In Proceedings of the Institute of Acoustics Spring Conference St Albans, UK: Institute of Acoustics. Bleeck, S., & Winter, I. (2006). A model of the cochlear nucleus based on first order interval distributions. Paper presented at Proceedings of the 14th International Symposium on Hearing (ISH2006), . Bleeck, S., & Winter, I. M. (2006). A model of vental cochlear nucleus units based on first order intervals. 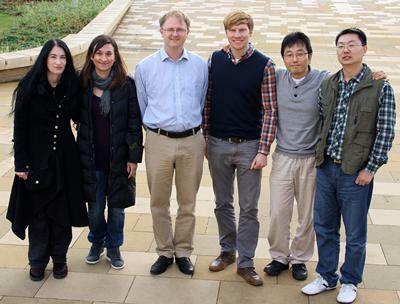 Paper presented at BSA Short Papers Meeting on Experimental Studies of Hearing and Deafness, . Bleeck, S., Ingham, N., Carlyon, R. P., & Winter, I. M. (2006). Challenges to inter-spike interval models of pitch: the responses of cochlear nucleus neurons to band-pass filtered pulse trains. pp.36. Paper presented at 29th Annual MidWinter Research Meeting: Association for Research in Otolaryngology, . Ingham, N., Bleeck, S., & Winter, I. M. (2006). The magnitude of forward masking and the time course of its recovery as a function of unit type in the ventral cochlear nucleus. 36-37. Paper presented at 29th Annual MidWinter Research Meeting: Association for Research in Otolaryngology, . Roberts, B., Holmes, S. D., Bleeck, S., & Winter, I. M. (2006). Wideband inhibition modulates the effect of onset asynchrony as a grouping cue. Paper presented at International Syposium on Hearing 2006 (ISH'06), . Bleeck, S., Ingham, N., Carlyon, R., & Winter, I. (2005). Challenges to inter-spike interval models of pitch: The responses of cochlear nucleus neurons to pulse trains. Paper presented at British Society of Audiology Short Papers Meeting on Experimental Studies of Hearing and Deafness, Cardiff, UK, 12-13 September 2005, . Ingam, N., Bleeck, S., & Winter, I. (2005). Contralateral single neuron receptive fields in the mammalian cochlear nucleus. 133. Paper presented at ARO Meeting, . Carylon, R. P., Mahendran, S., Deeks, J., Kong, Y. Y., Long, C. J., Bleeck, S., & Winter, I. M. (2005). Limitations on pitch perception by cochlear implant users. Paper presented at Conference on Implantable Auditory Prostheses, United States. Bleeck, S., Ingam, N., Verhey, J., & Winter, I. M. (2005). Wideband suppression in cochlear nucleus: a role in grouping by common onset?. Paper presented at 28th Annual MidWinter Research Meeting, Association for Research in Otolaryngology, . Bleeck, S., Ingham, N. J., Verhey, J. L., & Winter, I. M. (2004). A role for wideband inhibition in grouping by common onset. Paper presented at British Society of Audiology Short Papers Meeting on Experimental Studies of Hearing and Deafness, . Mahendran, S., Bleeck, S., Winter, I. M., Long, C. J., & Carlyon, R. P. (2004). Auditory nerve correlates of temporal pitch perception. Paper presented at British Society of Audiology Short Papers Meeting on Experimental Studies of Hearing and Deafness, . Ingham, N. J., Bleeck, S., & Winter, I. M. (2004). Contralateral inhibitory influences on receptive fields of cochlear nucleus neurons. Paper presented at British Society of Audiology Short Papers Meeting on Experimental Studies of Hearing and Deafness, . Bleeck, S., & Patterson, R. D. (2003). A comprehensive model of sinusoidal and residue pitch. Paper presented at Pitch Meeting, . Bleeck, S., & Patterson, R. D. (2003). Predicting the relative strength of sinusoidal and residue pitches using damped sinusoids.. Poster session presented at British Society of Audiology Short Papers Meeting on Experimental Studies of Hearing and Deafness, . Bleeck, S., Winter, I. M., & Patterson, R. D. (2002). Using genetic algorithms to find the most effective stimulus for neurons in the auditory pathway.. Poster session presented at 3rd Forum of European Neuroscience, . Bleeck, S., Patterson, R. D., & Winter, I. M. (2002). Using genetic algorithms to find the most effective stimulus for sensory neurons. Paper presented at British Society of Audiology Short Papers Meeting on Experimental Studies of Hearing and Deafness, . Bleeck, S., & Langner, G. (2001). Functional significance of latency in the auditory system. In S. Greenberg, & M. Slaney (Eds. ), Computational Models of Auditory Function: Proceedings of the NATO Advanced Study Institute on Computational Hearing (pp. 205-220). Amsterdam: IOS Press.